'The late nights I can handle. It's the early mornings that're killing me.'" Reading D.I. Marnie Rome cases is always a unique experience, the cases are always entangled and with some unexpected twists. You never know who the murderer is till the end of the book! I normally guess who is the murderer since the beginning but in all Sarah's books, I never know who could be the "bad", and I love it! Sarah Hilary books are never predictable, she always surprises me with her gripping but intelligent cases, making me want for more. I am not surprised that she has won the Theakstons Old Peculier for the crime novel of the year. 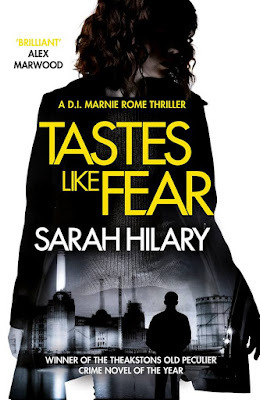 I think every crime lover has to read at least one of Sarah Hilary books, they are unforgettable and addictive.